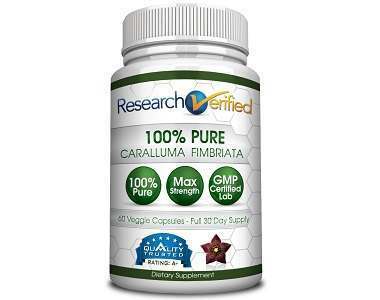 Vital Science Labs Caralluma Platinum Review - A Wise Choice? 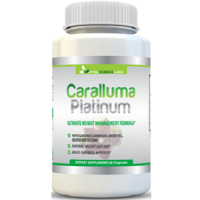 The following is our review about the supplement product Caralluma Platinum, manufactured by Vital Science Labs. It is this manufacturer that claims that this is a weight-management formula: it is a natural weight-loss aid that subdues hunger cravings. Read our review for more. What’s in Vital Science Labs Caralluma Platinum? Two (2) capsules provide a Proprietary formula (caralluma fimbriata extract, white kidney bean extract, forskolin (coleus forskohlii root extract), African mango extract, garcinia cambogia extract, green coffee bean extract, green tea extract, moringa extract, and raspberry ketone. Other ingredients include gelatin, magnesium stearate, calcium carbonate, and FD&C yellow#5. This formula contains more than a few ingredients known to support weight loss: caralluma fimbriata, white kidney bean extract, and raspberry ketone. Nevertheless, the individual quantities of each are anonymous. The entire value of the proprietary blend is 1008 mg. At least 1600 mg of Caralluma Fimbriata is mandatory by clinical studies, to be effective on its own. This denotes that the quantities of the separate ingredients are low. This supplement product contains gelatin within its capsule consequently improper for vegans or vegetarians searching for a slimming supplement. How Do You Use Vital Science Labs Caralluma Platinum? The manufacturer’s recommendation is to take two (2) capsules per day. Time or times of day is not stated, nor if these capsules should be taken with water or food, or if it should be taken on an empty stomach. A 60-capsule bottle of Caralluma Platinum is available online. The business does not trade it directly, but this product is available on third-party site namely Amazon. Nevertheless, even though Amazon is said by the maker of this supplement to be the best purchase site, this health supplement is not available on Amazon. The manufacturer of this product indicates that a 100% money-back guarantee comes with this health product. On the other hand, this guarantee is unclear. The company does not specify the length of time by which the supplement must be returned, nor if a refund applies only to unopened bottles. Neither is one informed if charges are deducted from the refund amounts, for example, shipping, restocking or handling fees. 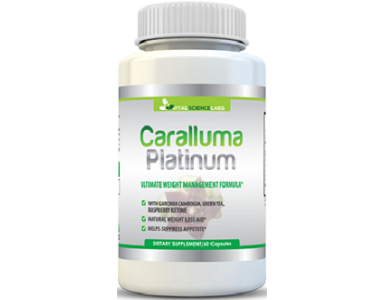 The weight loss product Caralluma Platinum gives the impression to be the finest weight-loss product. Without a doubt, there are some positive aspects to this product. It is backed by a money-back guarantee. This decreases the risk to the customer, should the merchandise not work for them or lead to side effects: customers are assured of a refund. In addition, this slimming product is manufactured in a GMP certified factory, which means that the ingredients within the bottle and the label match. There are, conversely, certain trepidations: the guarantee is not clear; terms and conditions of the pledge are not indicated. In addition, the slimming product is presently unobtainable on the favored third-party site. What’s more, the components are not pure Caralluma Fimbriata, nor is the amount of this ingredient acknowledged. Rather, the formulation comprises an assortment of ingredients.